'Allo 'Allo I Shall Say This Only Once. Buy a ticket and get to Cardiff to see this now! 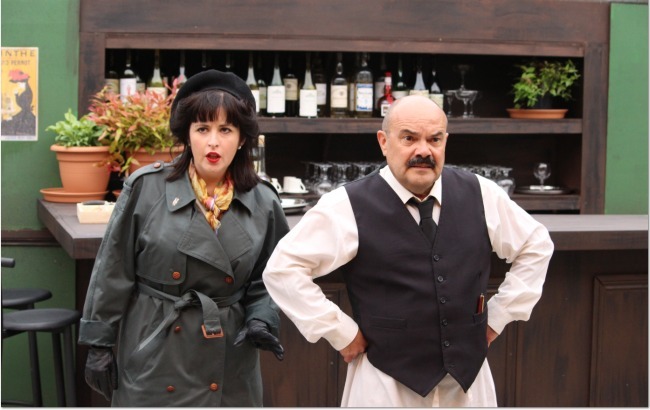 I was so pleased to be offered* two tickets to see 'Allo 'Allo by the Everyman Theatre at Cardiff Open Air Theatre Festival in Sophia Gardens as I love the theatre. I was a little worried though as this was outside and what would the Cardiff weather do? It's summer so rain and be cold I guessed. I needn't have worried at all. The evening was warm and the auditorium is under cover so the audience was fine if it rained. There were also blankets for hire at £2 each if it turned chilly. It was nearly a disaster though as I thought the event was at the cricket ground and would have ended up at the wrong venue if I hadn't noticed a sign pointing me in the right direction. 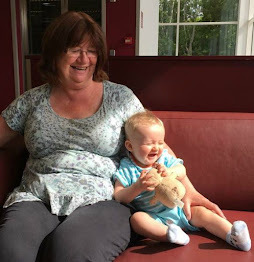 We decided on a quick drink and a pub meal at the nearest pub Y Mochyn Du before the event as I was expecting the queues for food and drink to be very long at the venue. When we arrived the smell of the freshly made Dusty Knuckle Pizza's made me wish I had not eaten a mediocre meal at the pub and had come straight here for our supper. It smelt and look fantastic, made and cooked right there and then. We headed to the Otley sponsored bar and were delighted to see that the beers on pump were all local. One had travelled from as far as Canton! I didn't even know there was a brewery there. We had a taste of those on offer and all were delicious, I do not drink beer usually but these were really good. We also ordered a drink to be ready for us at the interval. The seating area was lit with string lights and little trees and was a really pleasant place to have a meal and a drink. The Café René will welcome summertime audiences to the little French rural town of Nouvion. Owner René Artois risks more than his life on a daily basis during wartime German occupation as he attempts to satisfy the demands of the German Army, the French Resistance, his wife and both his waitresses! 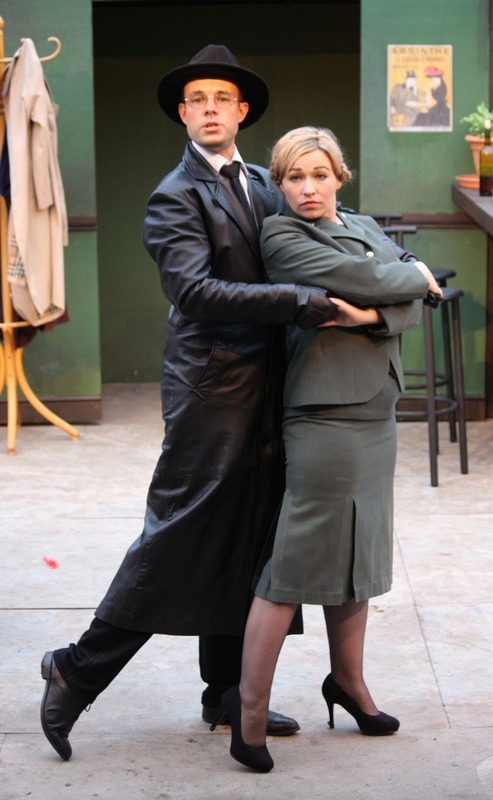 The team that brought you last year’s hilarious staging of Blackadder, lead by director Simon H West, are pleased to present the hugely popular stage version of ‘Allo ‘Allo at the 2016 Everyman Summer Festival. This interpretation is very close to the TV show so if you liked that you will love this. As to be expected there are lots of sausage innuendos, big boobies, hanky panky and slap stick. Sadly there is no Captain Hans Geering (played in the original by the fab Sam Kelly) so no "clop!" to finish every Heil Hitler. Did we like it? Oh yes! We laughed all the way through, OK occasionally we groaned at the puns and innuendo's but we were thrilled to hear all the catchphrases and to see all the characters from the popular TV show. The best bits? Rene, Officer Crabtree and an inflatable Hitler? Herr Flick dancing the tango? Edith's awful singing? Helga's striptease? If you want to know more then you still have time to catch this very funny show as it is on until the 16th July. If you have never seen a live play or been to an outside production make this your first. It is so entertaining and not too long. It starts at 8pm with a short interval half way through and finishes just after 10pm. 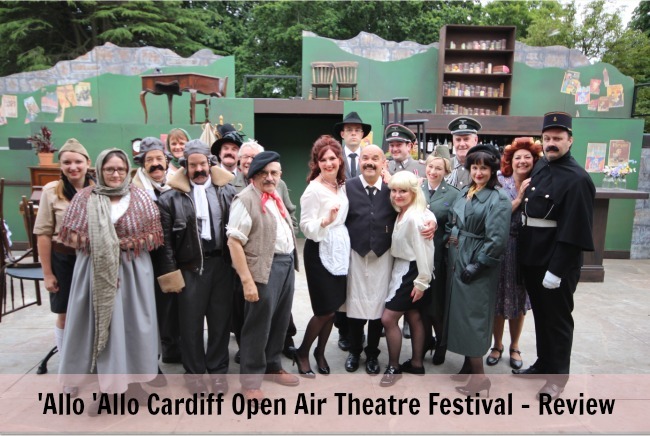 Tickets are £15 and can be purchased via the Cardiff Open Air Theatre Festival website. And rain you ask what if it rains? It did rain towards the end, just a fine summer shower. We were lovely and dry under cover but I still wonder what the actors would do if it absolutely hammered down as they really were al fresco. The festival runs until the 24th July with something for everyone more details are on my preview or the Cardiff Open Air Theatre Festival website. What is your favourite open air theatre show? *I was given two tickets and a programme for the purpose of this review. All opinions are honest and my own. It was really professional, you will love it. The actors were amazing especially on opening night. Magic. My husband went to an allo allo party a few years ago. It was great fun. This looks a great production. It really was. Funny and so professional. A great night out.